AIPAC = LONG STRANGULATING ARM OF THE ROTHSCHILDS ZIONIST MAFIA TO DESTROY NON-JEW AMERICANS + ROB $10s of TRILLIONS IN AMERICAN MIDDLE CLASS WEALTH! | Concise Politics -- Your Time should NOT be wasted. AIPAC = LONG STRANGULATING ARM OF THE ROTHSCHILDS ZIONIST MAFIA TO DESTROY NON-JEW AMERICANS + ROB $10s of TRILLIONS IN AMERICAN MIDDLE CLASS WEALTH! 5+ AIPAC Dirty Tricks Used Against Congress to get close to 100% VOTES for WELFARE TO ISRAEL FOR MASS MURDERS OF CIVILIANS AND FOR COVERT FAKED WARS. AIPAC/ROTHSCHILDS WALL STREET = Pass inside information to US lawmakers to profit before ordinary investors to GAIN FAVORS ON NEW LAWS! AIPAC = Never incorporate until its parent organization was ordered to register as an Israeli foreign agent in 1962. = Was called AZC before that. AIPAC DIRTY TRICKS = Congress-members CROSSING AIPAC = PAY A HEAVY PRICE = LOSS OF POWER + OSTRACIZED FROM OTHER MEMBERS OF CONGRESS + ATTEMPTED AND SUCCESSFUL BLACKMAILING + $10s of MILLIONS in FUNDS TO FORCE YOU OUT OF CONGRESS + ELECTION FIXING! AIPAC DIRTY TRICKS = Since 2009 DOES NOT PROVIDE DONOR NAMES AND AMOUNTS as required to the IRS. AIPAC DIRTY TRICKS = Steal Congress Members darkest secrets to be used against them in an orchestrated media campaign? AIPAC DIRTY TRICKS = Helps ROB U.S. National Defense Secrets for use by Israel’s Corporations and ROTHSCHILDS MAFIA! AIPAC DIRTY TRICKS = 2004 passed classified U.S. national defense information to the Washington Post (and “Israeli diplomats”) aimed at convincing Americans that Iran was engaged in “total war” against the U.S. in Iraq. AIPAC DIRTY TRICKS = Vets members of Congress + VETS their interns before they can join their staff = IMPLANTS ROTHSCHILDS AIPAC AGENTS into CONGRESS. = Foreign interest intelligence network unsurpassed on Capitol Hill. AIPAC DIRTY TRICKS = Members of Congress are under constant ROTHSCHILDS MAFIA watch. AIPAC DIRTY TRICKS = 2006 Congresswoman Jane Harman was picked up on a federal wiretap telling an “Israeli agent” she would “waddle into” and quash the Justice Department’s espionage prosecution of two AIPAC employees. = NEVER PROSECUTED! AIPAC DIRTY TRICKS = Members of Congress know AIPAC WILL do almost anything TO GET THE ROTHSCHILDS MAFIA’S WAY + Never held to account. AIPAC DIRTY TRICKS = DESTROY Elected officials wanting to serve broader American interests as opposed to ROTHSCHILDS MIFIA-AIPAC’s interests = Tripwire to THEIR OWN DESTRUCTION! AIPAC DIRTY TRICKS = INSTILL REAL POLITICIAN FEAR of a combination of spying, covert action and rigged elections to bring them down if they fail to follow AIPAC MARCHING ORDERS = ROTHSCHILDS MAFIA with FRONT PUPPET MAN appearing as the Israeli government. This entry was posted in AIPAC = LONG STRANGULATING ARM OF THE ROTHSCHILDS ZIONIST MAFIA TO DESTROY NON-JEW AMERICANS + ROB $10s of TRILLIONS IN AMERICAN MIDDLE CLASS WEALTH! 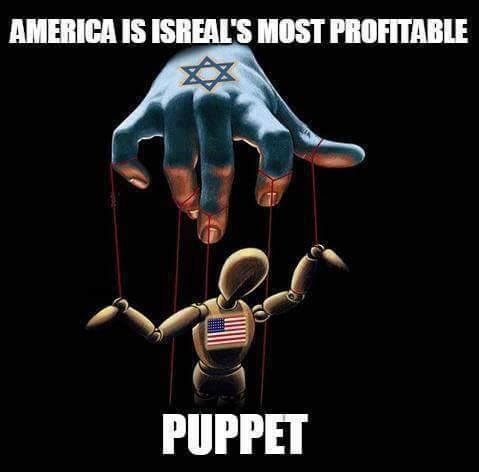 and tagged AIPAC = LONG STRANGULATING ARM OF THE ROTHSCHILDS ZIONIST MAFIA TO DESTROY NON-JEW AMERICANS + ROB $10s of TRILLIONS IN AMERICAN MIDDLE CLASS WEALTH!. Bookmark the permalink.